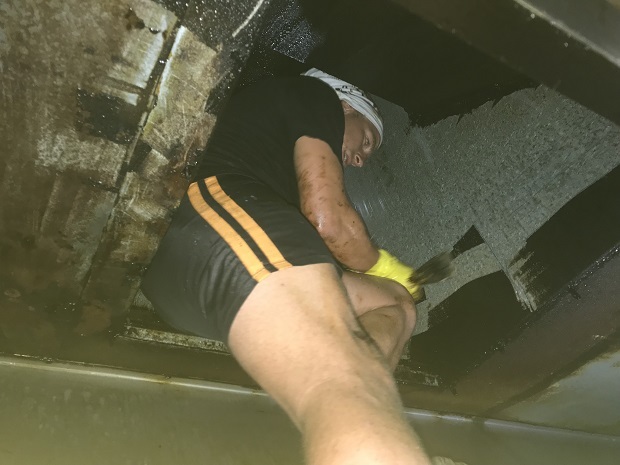 Duct Cleaning Rosalie, Brisbane 2064: I did have a little giggle to myself of what was to become when I went and quoted on this Rosalie duct cleaning job. 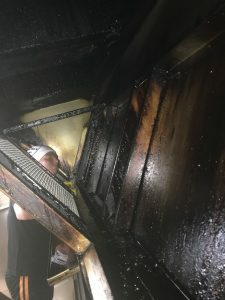 The huge and unusual gutters were full and overflowing with grease as I tried to manoeuvre around them to peek inside without spilling it onto the canopy. I turned to the owner asking “when was this last clean” and he shrugged with a coy bemused look on his face. Removing the filters from the lower canopy, I shone the torch inside to reveal a large grease laden void and looking up there were two vertical risers in the ducting that made its way to the extraction fan. To be fair I think now of this inside ducting had ever been cleaned before. I haggled with the owner for a minute over price. Most of the time I send two staff for large canopy and duct cleans but this was just that little more. So I said that we would use three staff the first time to get it back to basics and then use two staff for any ongoing duct cleans. I am going to come along. One to help and two to take some good action pics. One of the lads was fairly knew so it was a good opportunity to oversight him. From experience in my early days. I would be overwhelmed when I would be confronted with so much mess. This duct cleaning Rosalie job was no different. I said to Tom, just start at one point until you can see clean and then work your way from there. And that’s what the lads did. 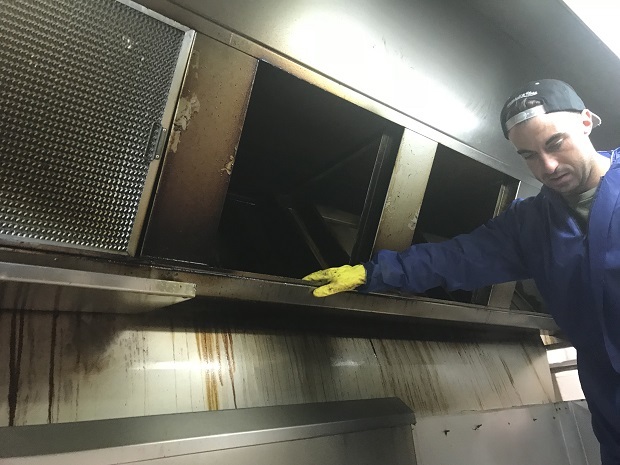 Tom cleaned an area which then allowed him a space to climb though the filter hole and into the upper ducting and extraction fan. Many owners and in fact many contractors place duct cleaning low on their priority list. 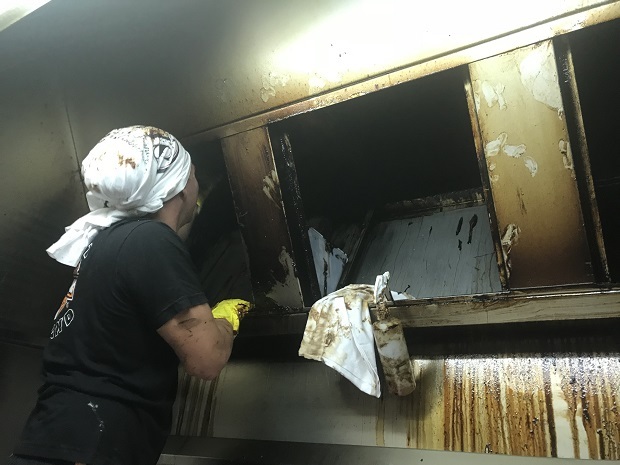 Sadly this leads to unnecessary costs down the track and down time in the kitchen like this duct cleaning Rosalie Brisbane job.